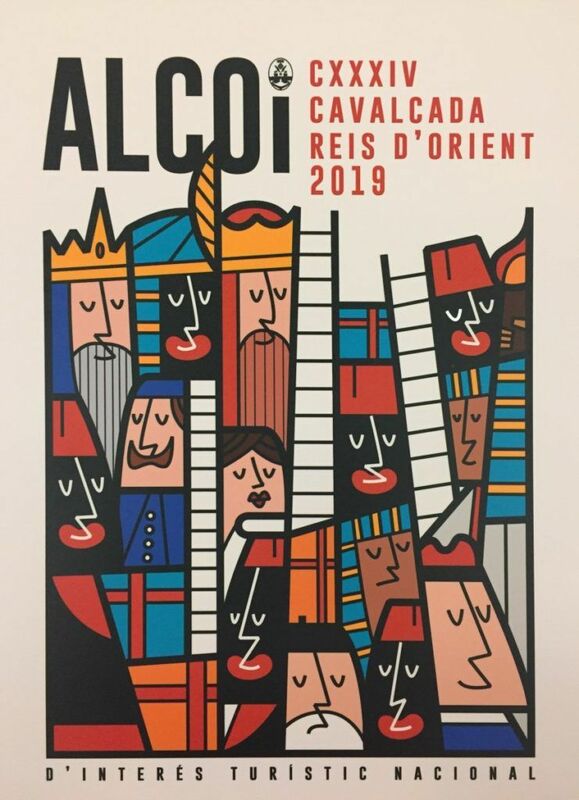 Hazael Rico, former Advertising Graphics student and author of the 2019 Three Wise Men parade poster | EASD Alcoi. Hazael Rico, a former Advertising Graphics Cycle student, was the winner of the Three Wise Men parade poster contest. We talked about his creative process and its good reception. -What did you want to convey on your poster for the 2019 Cavalcade? -Which were your references or inspirations? The poster is based on the fifties and the sixties cartoons (UPA style). As for referents, I was inspired mainly by the work of Ale Giorgini, an italian illustrator. -What motivated you to participate in the contest? As a child I admired the posters of the Three Wise Men parade, and I always wished to be one of the authors. After 4 years I can finally say that dream has already come true. -What did it mean for you to be chosen between all the proposals presented? 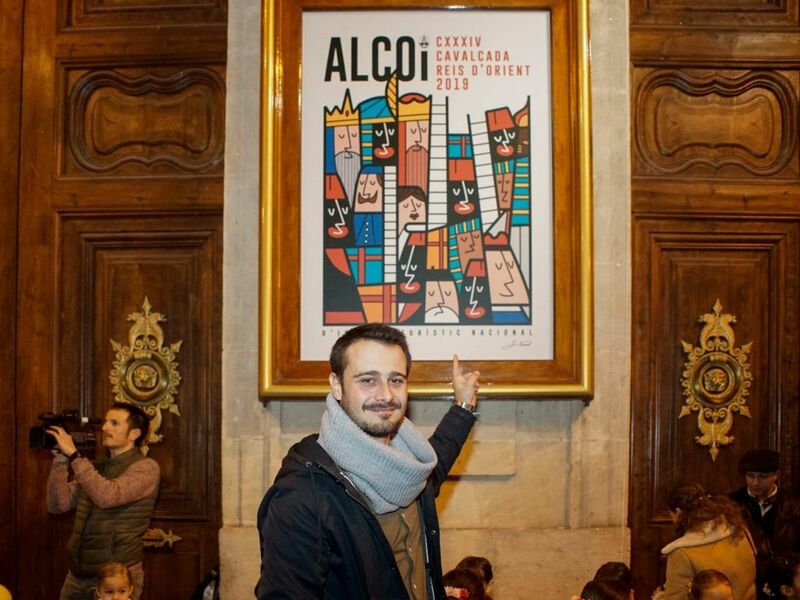 I’m proud as a graphic designer and as an alcoian to be able to represent the oldest and most important Three Wise Men parade of Spain. It is a real honor to see your work hanging from the facade of the city council, where the famous poster of Moors and Christians festivities is also hung. -What makes a good poster? I think “less is more”, though it depends on the context. But every good poster needs a nice composition, well-selected typography, hierarchies, harmony and, above all, a clear and understandable message. – How is the feedback you have received about your creation? I have been keeping track of the publications where the poster was discussed and I am very happy: more than 90% of the comments have been positive. -What did EASDALCOI brought to you? Experience, knowledge, visual culture and passion for design and art.